What is it about crime fiction that captures our attention? Whodunit, legal thrillers, courtroom drama, detective fiction, spy novels and psychological thrillers. They entertain and enlighten, amuse and thrill, make us think and makes us blink, say 'hmm!' or 'I didn't see that coming!" They are bold and cunning, timid and mysterious. They hide the crime and make us work for it. Or put it out there for all to see and we watch as the detective tries to put it together. 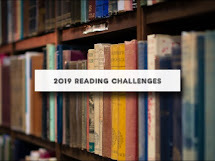 There is a difference of opinion between the British Crime Writers Association and the Mystery Writers of America on which books rank in the top 100 as of 1995. I think it's time for an updated list. Who do they agree upon? Check out the links to find out more about the books and you may just find discover a new to you author or two. I've pre-ordered my copy from amazon! 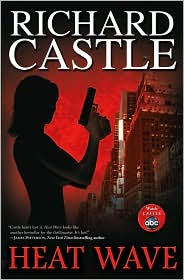 I read Richard Castle's "Heat Wave" and posted my review on my blog. You can get a copy from the library. I didn't think my library had it, but I went and checked, and now I have a hold on it. Yay! Carolyn - I'm one of those who likes to keep books. Good review. I'm looking forward to reading it. Jean - Yeah! Glad you found a copy. I like keeping books, too, but our house is too full! If you enjoy the TV episodes Richard Castle will not disappoint you in this novel. Funny and quirky. I think locked-room mysteries are my favorite kind. Thanks for the links! I love the mystery list - I'll have to request some of these from the library. Right now I am reading books for our upcoming school year & I need to add in something for myself. Thanks.